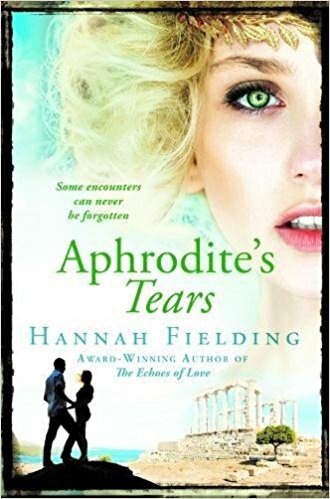 My novel Aphrodite’s Tears is set on a Greek island, and as the title of suggests, I drew inspiration for the writing from the stories of Ancient Greek mythology. According to Homer in his epic poem The Odyssey (8th century BC), Calypso was a beautiful nymph who lived on an island of Ogygia. When the hero Odysseus – the king of Ithica – washes ashore on the island during his long journey home after the Trojan War, Calypso falls in love with him and decides he must stay with her… forever. To keep Odysseus, who already has a wife back home, at her side, she enchants him with her singing and seduces him. Over time, however, Odysseus yearns more and more for his wife, Penelope, and eventually, after seven years, the goddess Athena steps in and orders Calypso to free Odysseus from her spell. Calypso offers Odysseus immortality if he will only stay with her, but Odysseus knows to whom his heart belongs, and so Calypso frees him. ‘I am all compassion,’ she says, and she even helps him to build a boat and sends him on his way well-stocked with wine and bread. ‘You are a temptress, Calypso. Like the sirens of our mythology, desirable, with a fatal beauty.’ So says Damian to Oriel in Aphrodite’s Tears. He references the myth of Calypso to show how much he is drawn to Oriel, and yet how dangerous that feels to him – a man with a tragic past who knows that love can lead to heartache. Damian calls Oriel ‘Calypso’ because to him she has all the beauty of the nymph, and she seems to cast a spell over him, driving him wild with a desire that is consuming. But Damian misses the fact that Calypso was not only a temptress; she was also the one who saved Odysseus and offered him a home and her love – and she was the one who ultimately set him free. Can Oriel be his Calypso in these ways too? Ultimately, can the story of Calypso and Odysseus be retold with a new ending, in which there is no boat, no sailing away into the sunset – just the two lovers hand in hand, watching the sun set over their forever home: the island? Blurb: In ancient Greece, one of the twelve labours of Heracles was to bring back a golden apple from the Garden of Hesperides. To archaeologist Oriel Anderson, joining a team of Greek divers on the island of Helios seems like the golden apple of her dreams. Yet the dream becomes a nightmare when she meets the devilish owner of the island, Damian Lekkas. In shocked recognition, she is flooded with the memory of a romantic night in a stranger's arms, six summers ago. A very different man stands before her now, and Oriel senses that the sardonic Greek autocrat is hell-bent on playing a cat and mouse game with her. As they cross swords and passions mount, Oriel is aware that malevolent eyes watch her from the shadows. Dark rumours are whispered about the Lekkas family. What dangers lie in Helios, a bewitching land where ancient rituals are still enacted to appease the gods, young men risk their lives in the treacherous depths of the Ionian Sea, and the volatile earth can erupt at any moment? 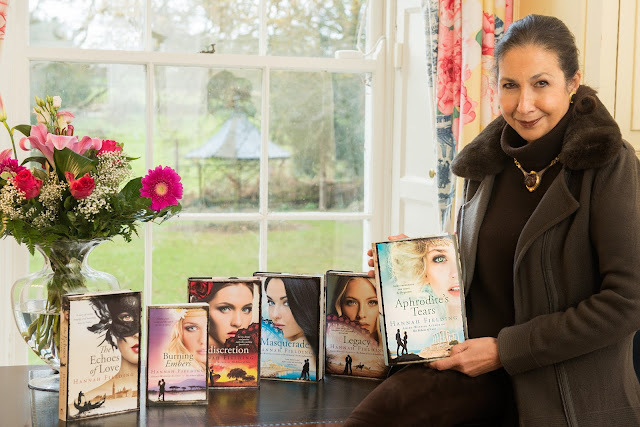 Will Oriel find the hidden treasures she seeks? Or will Damian's tragic past catch up with them, threatening to engulf them both?